Illustration for a book on VLSI (Very Large Scale Integration, or microchip design), around 1991–2. I was familiar with the material in the book because I’d been employed by its author to give the VLSI course lectures at Royal Holloway. 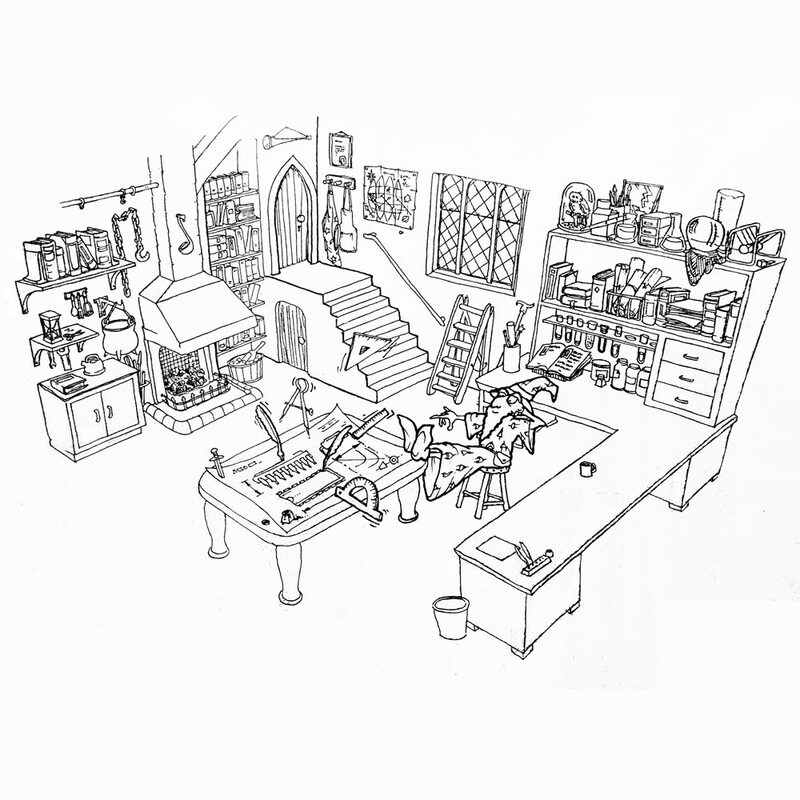 I did a different of illustration of the wizard’s laboratory for each chapter; this was the one specifically about the Computer Aided Design systems being used at the time. 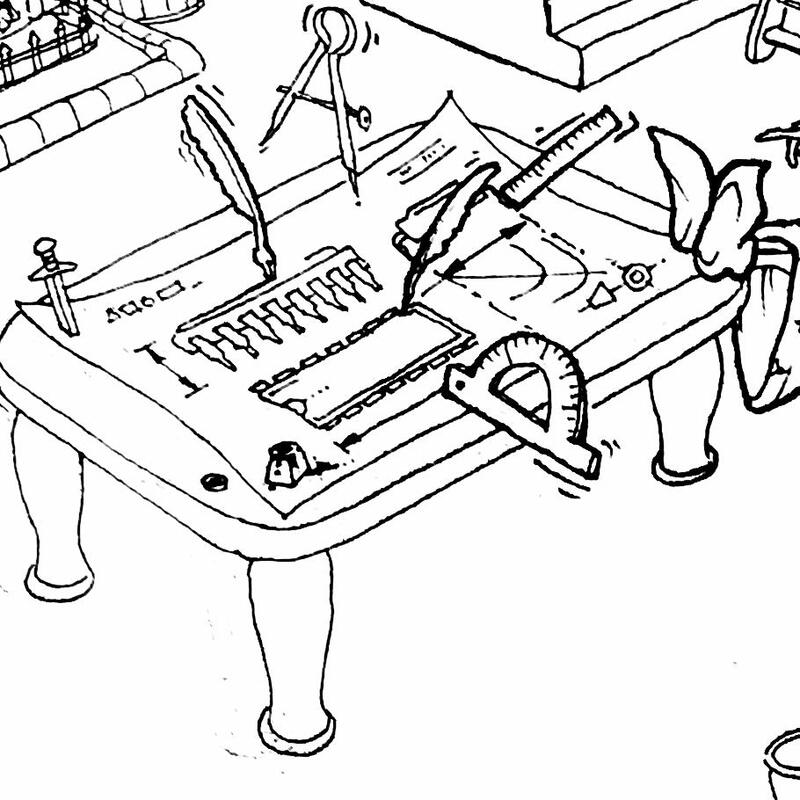 I’ve enlarged the table in the second image here because I’m amused at how thorough I was with the drawing that the wizard is creating, although presumably you have to be into technical drawing to appreciate it. Those enchanted drawing tools are producing a decent first angle projection of a microchip (with dimensioning), heh.